100 Blog Posts! I can't believe I've actually written 100 Blog Posts in less than 5 months! Let's celebrate with a trip down memory lane, and a giveaway. The contest is now closed. The Winner is announced below. First, I bring you my top 10 posts. This post took a lot of work, but it was really fun to do, and I think the results were interesting. These suckers are good! 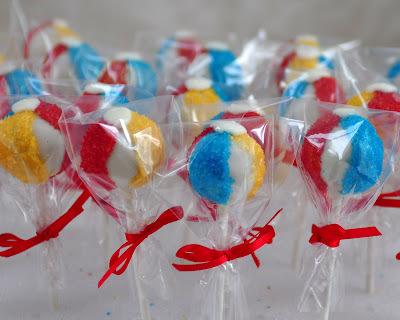 And they're really not that hard to make-- compared to other cake pops. Best trick EVER! 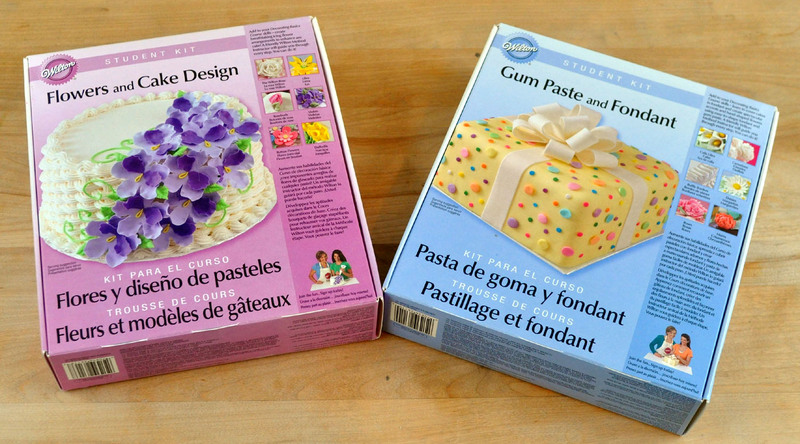 I don't know how I went more than a decade in cake decorating without knowing this! I loved this cake. It was so perfect for fall. 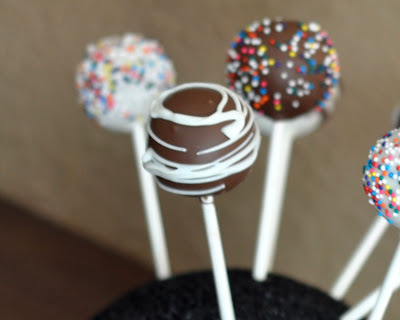 #6: How Long Do Cake Pops REALLY Take? They're not quick, people. And the more time you set aside, the better they'll turn out. These were not as easy to do as I wanted them to be, but they're so cute! 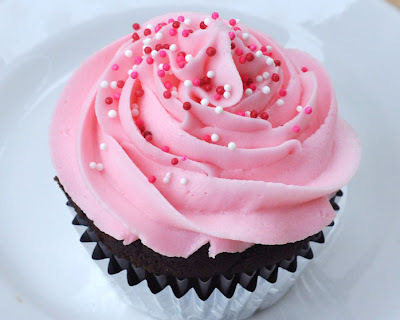 The cupcake swirl is an easy technique that anyone can do. It makes bringing treats for anything so much cuter. It's chocolate, filled with chocolate, topped with chocolate. What more could you ask for? These were a surprise hit for me. I love these cupcakes. I would eat 5 every day if I could. THE WINNER IS #1- Lisa!! Congratulations, Lisa! 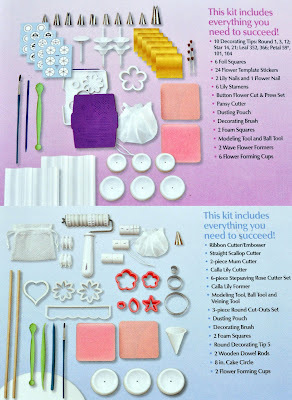 To celebrate my 100th post, I will be giving away these two student kits for Wilton Cake Decorating classes. They each sell for about $35. Hopefully, you can use them to join me in a class. If not, you can always give them as a Christmas gift to someone who may want to take a class, or you can take a class somewhere closer to your home, or you can just enjoy the $70 (or so) worth of free cake decorating supplies! To Enter: Sorry, the contest is now closed. You have three chances to enter. #1- In a comment below, tell me how you would use these kits (would you take a class?). 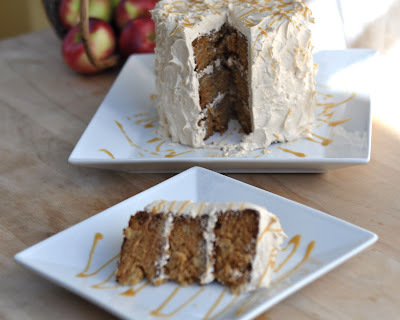 #2- Like Beki Cook's Cakes on Facebook. In a comment below, tell me that you do. #3- On Facebook, share the link(s) to this post on your own page. In a comment below tell me that you did. This Giveaway will be open for entries until 11:59pm (Central Time) Friday, December 16, 2011. You must be a U.S. Resident to enter. Only comments entered here, on Blogger, will count. Facebook comments can not count. You must not comment anonymously. (I can't tell who you are and tell you that you won if you do that!) The comment number will be pulled from a hat by an unbiased 5-year-old Saturday, December 17, and I will then contact the winner. 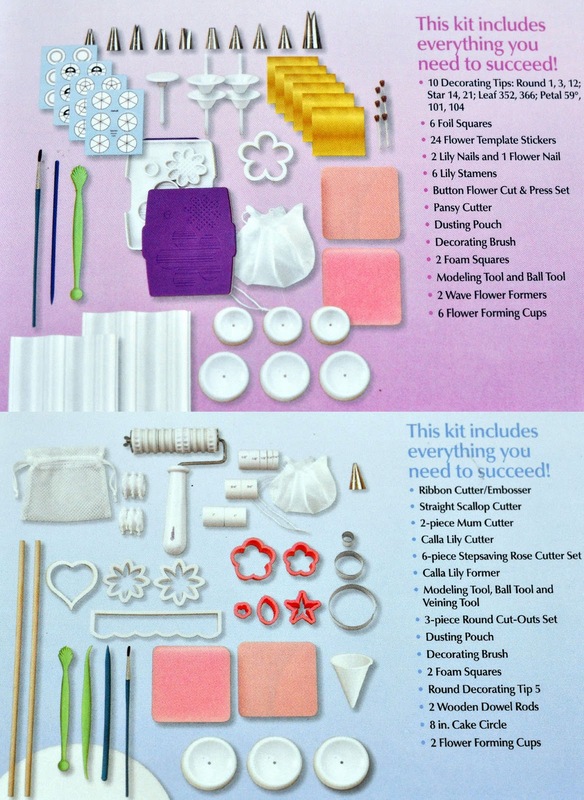 Please note: If you do use these kits to take a class with me, you will still have to pay for tuition. Because students must register through the JoAnn store (in Edina), I can't give you the tuition free. Sorry. The Fine Print: These kits are mine. While I am an instructor for Wilton, they did not endorse this giveaway or pay me in any way to provide it. I love the WHOLE blog, but the one I learned from the most (other than just using your recipes all of the time) so far is #3. I finally learned how to not make an ugly cupcake! Thanks Beki. I already liked your FB page, but I am also sharing the link now! love your blog and fb page yummo!! I work in a nursing home and would love to try and make some of your recipes to into work for the elderly. Thanks Tracy Brooks for showing me this site. I liked your FB page a while ago and have loved your posts! 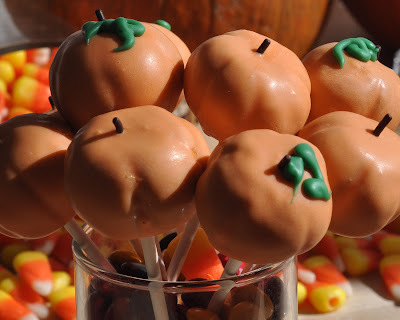 I even made the pumpkin cake pops for my son's school Halloween party! I just shared your link on FB! 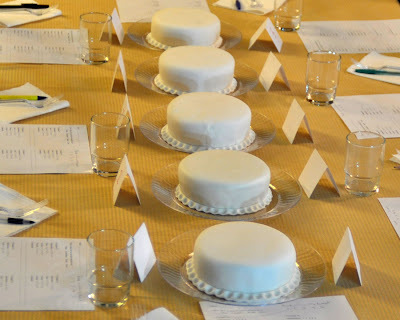 I would love to take a cake decorating class! And if I am the winner here I will definitely be inspired to make it happen! Thanks for the opportunity! Beki, I would LOVE to take one of your classes! I manage to muddle my way through birthday cakes, but could stand to learn the basics. Plus, I just love your stuff! I also shared the link - need to spread the love! I enjoy baking and decorating cakes, but have never gotten gutsy enough to attempt flowers. They make a cake so beautiful, so I'd love to have the tools to learn how to do it! 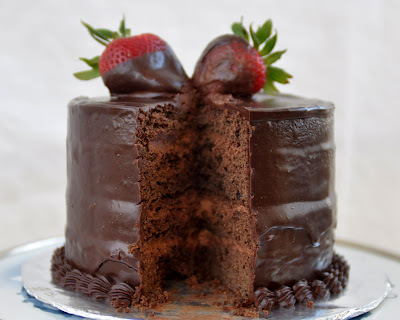 I like Beki Cook's Cakes on Facebook! Congrats on the 100th post. I'd use these to learn some new techniques. Even if I couldn't make it to one of your classes. I'd like to take one of your classes. Maybe I could talk my family into purchasing a few classes for me for my birthday again. (That's how I got started) Or don't you offer private cake classes. I have a few people who'd probably be interested in coming. I've already liked your Facebook page. I wish I could do it again for you. So I liked your 100th Blog post instead. I'd use the prize to make treats for my co-workers. They are always amazed at my baking skills. 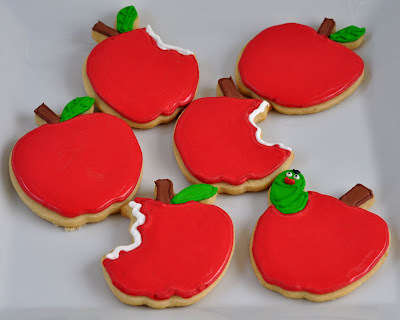 Using these would make my treats even more beautiful. 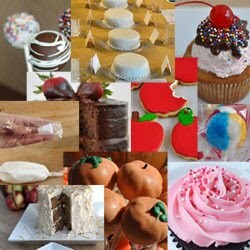 I liked you on facebook a while ago after I was at a cakepops home demonstration with my sister. I'd love to take a class! But even if I can't fit it in with my bizarre overnight schedule, it would all be helpful in making the stuff I obsessively copy from your blog. Can't wait to read your top 10 hints when I have more time. 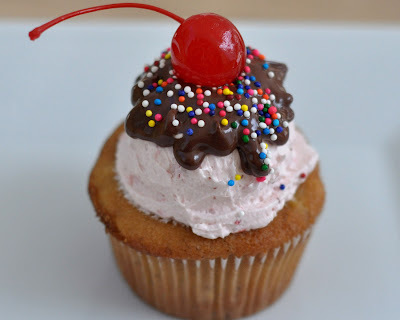 The cupcake swirl intrigues me the most. I would use them to decorate the sugar cookies that I just made from your blog! I love to see what you have been up to and wish I had a few extra hours to play along. I would love to win these kits and experiment with all the do-dads in the boxes! I live in Michigan and won't be able to take a class with you but I enjoy your cake designs and have successfully create some of them myself! Thanks for simple designs that look fabulous!!! Not entering the contest, but do want to congratulate you on your blogging achievement. I would have rated the Great Fondant Comparison as #1. Huge amount of work with great results. Icing bomb has to be #2; it works great for loading mashed potatoes, too. The classes are great fun, folks.